* Continuing Education Required every year. Always learning new things! 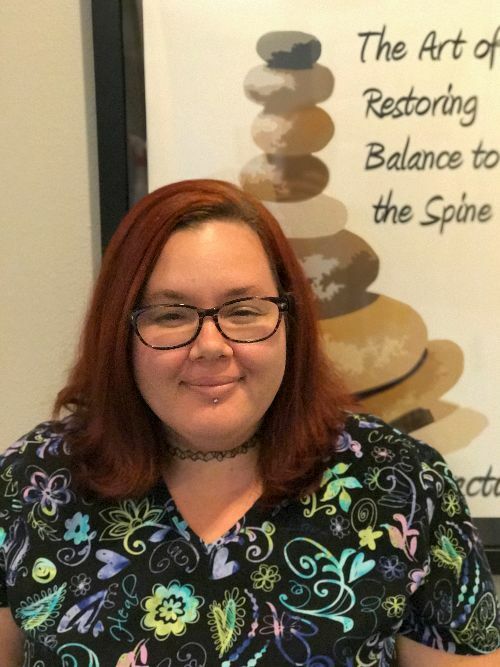 I am a practicing massage therapist in Deland. I am here because I truly love what I do! I feel a great sense of fulfillment, knowing that I help others feel better. I am blessed to have an intuitive nature that blends well with my educational background and experience from working with Dr. Hether. I believe that massage is an integral part of full body health and wellness and should be implemented into any complete healthcare plan. Massage promotes healing physically, as well as emotionally and spiritually. Through the healing power of touch, I hope to provide comfort, relief and relaxation to those in pain. This is not just a job to me, this is a way of life. I strive to be more, learn more and be ever growing as a therapist. Please don’t hesitate to call me at the office if you have any questions.